Тема: Upgrade your tactical equipment and save up to 15% extra! 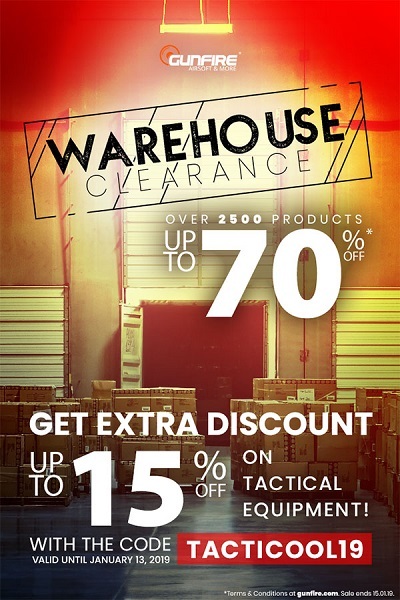 Warehouse Clearance is still on! To make room for new deliveries, we’ve decided to decrease our supplies of tactical equipment. Use the code TACTICOOL19 and get 15% extra discount on vests, pouches and other tactical products! The code links with the special offer that consists over 2500 products!